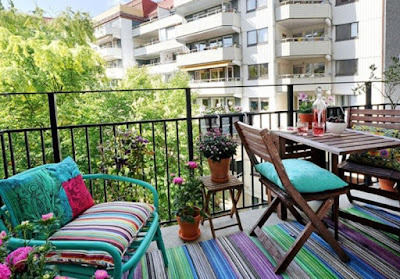 It's always been a requirement for most home owners to have balconies or porches in front of their houses which I completely understand. 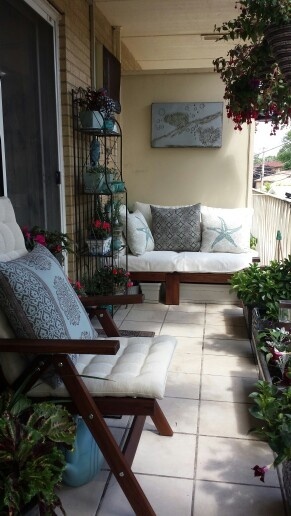 It's really nice to have a space to relax, drink coffee and get a breath of fresh air. However, the challenge in most cases is how to decorate a small balcony space and this is particularly true on apartments and condominiums where space is always limited. 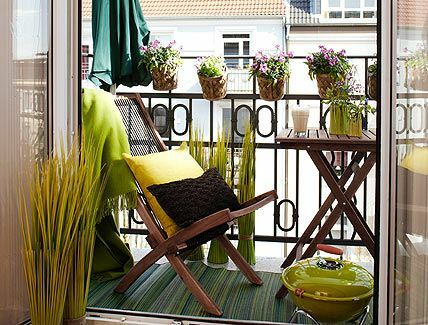 You maybe surprised that there are a handful ways to design even a small balcony space but the common denominator on most designs I see, such as the designs here below is the presence of potted plants. 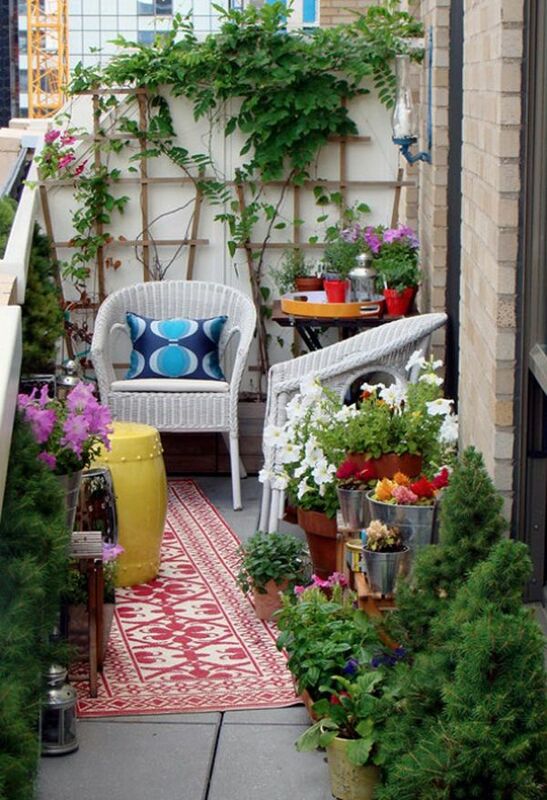 To give your balcony space a "homey feel", plants should always be incorporated in your design. These should come in cute chic containers and painted anyway you like it. Let not space define your limit!